Following are some of the notable individuals who passed away during the past year. Chitoshi “Chi” Akizuki on April 28, age 92. 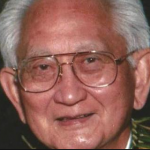 Recognized as an outstanding Nisei basketball and baseball players with the San Jose Zebras, he was a coach and adviser to generations of young athletes. 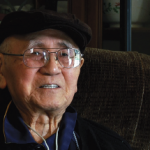 He was one of the original members of San Jose Japanese Community Service. Seishichi Ato, fourth president of the Fujiyasu Kimono Co. in Tokyo, on Feb. 26, age 92. To thank Japanese Americans for sending aid to Japan after World War II, he started donations of full sets of furisode kimono to Cherry Blossom Festivals in Washington, D.C., Honolulu and San Francisco. 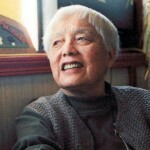 Grace Lee Boggs, an internationally known activist, on Oct. 5, age 100. The daughter of Chinese immigrants, her life and work encompassed the major U.S. social movements of the past century: radical labor, civil rights, Black Power, feminism, the Asian American movement, and environmental justice. Edward Brooke on Jan. 2, age 95. A former Republican senator from Massachusetts and the first African American to win popular election to the Senate, he served on the Commission on Wartime Relocation and Internment of Civilians, which held public hearings on the incarceration of Japanese Americans and recommended redress in the early 1980s. Traneka Davis, a non-Hodgkin’s lymphoma patient who worked with A3M (Asians for Miracle Matches) and other organizations to urge more people of color to sign up as potential bone marrow donors, on Dec. 31, 2014, age 36. 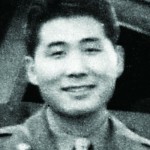 Harry Fukuhara, noted veteran of the Military Intelligence Service, on April 8, age 95. During World War II and the postwar occupation of Japan, he served as an interpreter, translator and interrogator. He also did intelligence work in the Korean War and Vietnam War, and later supported National Japanese American Historical Society in San Francisco. Setsuko Hara on Sept. 5, age 95. A noted film actress, she is best known for her roles in Yasujiro Ozu’s “Late Spring” (1949) and “Tokyo Story” (1953) and also worked with such directors as Akira Kurosawa, Mikio Naruse and Keisuke Kinoshita. She quit acting in 1963. Yosh “Doug” Hirai, who played basketball throughout his life, on April 14, age 72. 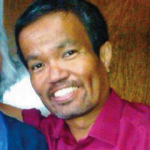 He volunteered for many years in different capacities in the CYC (Community Youth Council) organization, Bella Vista Optimist, Little Tokyo Rec Center, and Monterey Park Citizen Patrol. Kent Hori, attorney and actor, on Feb. 3, age 63. He co-founded Nihonmachi Legal Outreach (now API Legal Outreach) in San Francisco and acted with the Asian American Theater Company. Fred Hoshiyama, a lifelong leader in the YMCA and the Japanese American community, on Nov. 30, age 100. He worked full-time for the Y for 39 years (except during the internment) in California, Connecticut, Hawaii, Massachusetts, New York and Illinois, and started many programs for students and youth. He volunteered for community organizations, including the Japanese American National Museum, which he helped establish. 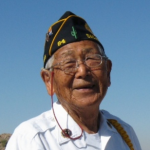 Masaji Inoshita, an MIS veteran and farmer, on July 16 in Phoenix, age 95. As part of his efforts to educate the public about the camps, he regularly led visits to the Gila River site in Arizona with students, JACL members and others, to maintain the monument there. He had a working relationship with the Gila River Indian Community, which has sovereignty over the land where the camp was located. Joanne Ono Iritani, a Poston internee and educator who along with her husband Frank authored the book “10 Visits” chronicling their travels to the War Relocation Authority camp sites, on March 19, age 85. She was active in sharing and preserving the story of Japanese Americans in the Sacramento area. 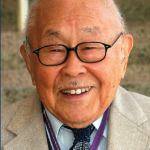 Susumu “Sus” Ito, a professor at Harvard Medical School and a veteran of the 522nd Field Artillery Battalion who helped to liberate Holocaust survivors during World War II, on Sept.29, age 96. He took thousands of photos of his fellow Nisei soldiers, which became the subject of an exhibition, “Before They Were Heroes,” at the Japanese American National Museum in 2015. Douglas Iwamoto, founder of Iwamoto Farms in Salinas, on Feb. 23, age 65. 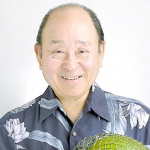 He and Mark Mitani established Summit Seeds, Commission Street, MKM Farms and other agricultural ventures. He served as president of Buddhist Churches of America but later converted to Christianity. Satoru Iwata, president of Nintendo Co., on July 11, age 55. After becoming president in 2002, he led development of the Nintendo DS and Wii game consoles, helping the company reach record-high sales. Tom Kawada, Tigers Youth Club boys athletic director since 2004, on Oct. 26, age 59. He represented the group in the Community Youth Council and as head commissioner, and received Shig Kohashi/Kenji Taniguchi Award for outstanding contributions to local youth basketball. Michio Kushi, macrobiotic educator, natural foods pioneer and founder and chairman of the Kushi Institute, on Dec. 28, 2014, age 88. He and his wife Aveline started the Erewhon Trading Co. in Boston. Many of the holistic practices that the Kushis helped introduce are now widely offered at various institutions. Shigeru Mizuki, an influential Japanese cartoonist, on Nov. 30, age 93. A master of the yokai genre, he was best known for his horror manga “Ge Ge Ge no Kitaro,” “Kappa no Sanpei” and “Akuma-kun.” He was also known for his World War II memoirs and his work as a biographer. Tetsujiro “Tex” Nakamura, a civil rights advocate, on Sept. 7, age 98. 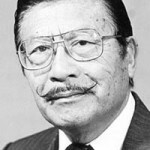 He was involved in redevelopment issues in Little Tokyo and worked closely with attorney Wayne Collins on the World War II Japanese American renunciation cases at Tule Lake, the Tokyo Rose case and the Japanese Latin American internment cases. 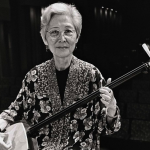 Lillian Nakano, a longtime civil rights activist and noted musician, on Feb. 28, age 86. She and her husband Bert were founding members of the Los Angeles Community Coalition for Redress and Reparations, which evolved into a national campaign on behalf of Japanese Americans interned during World War II. She was also a master shamisen player. Tomie Ohtake, a noted Japanese Brazilian artist, on Feb. 12, age 101. She was one of the main representatives of informal abstractionism in Brazil and created dozens of public space sculptures from the late 1980s. She received the Order of Rio Branco and Order of Cultural Merit. Wayne Osaki, noted Bay Area architect, on April 13. He designed 69 churches, including Allen Temple Baptist Church in Oakland, Aldersgate United Methodist Church in Palo Alto, and Christ United Presbyterian Church in San Francisco as well as the Japanese Cultural and Community of Northern California, Japanese Community Youth Council and buildings on Buchanan Mall in San Francisco Japantown. George Sakato, a 442nd RCT veteran, on Dec. 2 in Denver, age 94. He distinguished himself in a battle near Biffontaine, France, and received the Distinguished Service Cross, which was later upgraded to a Medal of Honor, presented to him in 2000 by President Clinton. 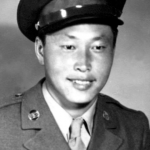 He was one of 21 Nisei soldiers of World War II to receive the Medal of Honor. Yoshimi “Shimi” Shibata, noted florist, on Oct 31, age 99. He led San Jose-based Mt. Eden Floral Co. for more than 55 years, created a co-op of rose growers, and was behind development of chrysanthemum and carnation breeding and propagation companies. He was honored last year by the California Association of Flower Growers and Shippers. Joshua Shintani, an actor and ukulele player known for his role in the 2001 movie “Shallow Hal,” on Nov. 25 in Kauai, age 32. Masao “Mas” Takahashi, veteran of 100th Infantry Battalion, C Company, on July 25 in Torrance, age 90. 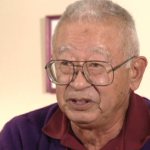 A recipient of the Bronze Star and Combat Infantryman Badge, he was active in the redress movement and Go For Broke National Education Center, and was one of the Nisei vets who rode on the Go For Broke float in the 2015 Rose Parade. 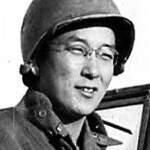 Mamoru “Mori” Tanimoto, one of about 35 men from Block 42 and Tule Lake arrested for refusing to register for the controversial loyalty questionnaire administered in the camps, on Nov. 3, age 95. He and his brother Jim became fixtures at the Tule Lake Pilgrimage, sharing their experiences with a multigenerational and multiethnic crowd. Robert Toji, who helped run Feast From the East restaurant in Los Angeles, on Aug. 9, age 63. He was active at Senshin Buddhist Temple, where he served as president, and with National Coalition for Redress/Reparations (later known as Nikkei for Civil Rights and Redress) and its annual Day of Remembrance. He battled cancer for six years. Jerry Weintraub, noted Hollywood producer, on July 6, age 77. His credits included “The Karate Kid” and three sequels, all starring Pat Morita (who earned an Oscar nomination) as Miyagi, and the 2010 reboot with Jackie Chan. Asako Sakai Yamashita, a member of the family that established Uoki Sakai grocery store in San Francisco, a prewar graduate of UC Berkeley, a longtime teacher in Los Angeles, wife of noted minister Rev. H. John Yamashita, and mother of author Karen Tei Yamashita, on July 30, age 98. Ken Yoshida, one of five World War II draft resisters from the Topaz camp in Utah, on March 19 in San Mateo, age 91. He and his brothers Masamitsu and Sakaye refused to serve in the Army unless their rights were restored. They were arrested and jailed. George “Horse” Yoshinaga on Aug. 17 in Gardena, age 90. 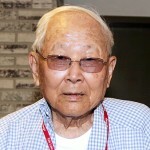 A journalist since he reported for The Heart Mountain Sentinel while interned during World War II, he worked for community newspapers for about 70 years and is best known as an opinionated columnist for The Kashu Mainichi and The Rafu Shimpo. He was also a veteran of the MIS, a sports manager and an actor (“The Crimson Kimono”).